According to the American Academy of Allergy, Asthma and Immunology, “allergies are among the most common chronic conditions worldwide.” They can make you miserable, and typically trigger symptoms in your nose, throat, lungs, sinuses and ears, on your skin or the lining of your stomach. The most common allergens are dust, pollen, animal dander, mold, insect stings, certain foods, medications and latex. Another study led by Timothy Craig, D.O., associate professor of medicine at Penn State’s College of Medicine, found that fatigue experienced by people with perennial allergies may be the result of nasal congestion and associated sleep fragmentation. Besides allergies themselves, some over-the-counter allergy medications can cause extreme fatigue and grogginess. Due to its sedating properties, the antihistamine diphenhydramine hydrochloride, for instance, is also sold as a non-prescription sleep aid and is an ingredient in some night-time cold and pain medications. When taking sedating antihistamines, studies have shown you may experience greater difficulty functioning than if you were under the influence of alcohol. This can be hard on your immune system. Alternately, the decongestant pseudoephedrine, found in many allergy formulations, is a stimulant that may cause insomnia. After a night of tossing and turning who wouldn’t be exhausted the next day? This could also wreak havoc on your immune system, and make you sick and tired. Hoffman recommends taking extra vitamin C after an allergic reaction, as it is a natural antihistamine. Nasal irrigation is also a drug-free way to reduce allergy symptoms. Of course, avoiding the allergens that cause your allergies would be best. If you’re allergic to animal dander, ban your pet from the bedroom, vacuum regularly and use an air purifier. If you’re allergic to mold, eliminate it from your home. If certain foods trigger an allergic reaction, stop eating them. If you’re allergic to pollen, close your windows during allergy season. If you’re allergic to feathers, don’t get a bird and sleep on hypo-allergenic pillows with a feather-free duvet, and so on. 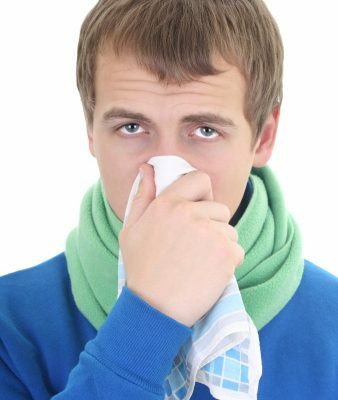 If you are suffering from allergies, but are unsure of the cause, an allergist can help. Itchy eyes and runny nose got you down? For some, the arrival of spring (belated, though it’s been this year) is met with dread because all those blooming buds and leaves means one thing: Allergy season is here.